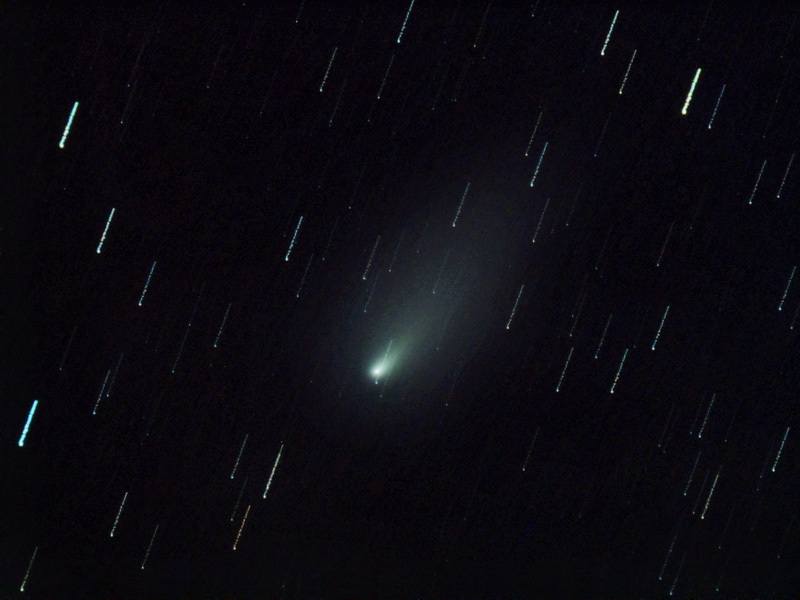 This is a one hour exposure (30 sub frames at 2 minutes each) of fragment C. Each frame was aligned on the comet head and the frames averaged. Since the comet is moving the stars appear trailed. The unevenness of the star trails is due to light clouds moving through during the exposure.